Do you know what an Ebenezer is? While Samuel judged Israel, they assembled for a time of fasting and confession. Then, the Philistines decided it was a good time to attack. Samuel, taking a lamb, offered the sacrifice and prayed to God for their deliverance. While he was still praying and sacrificing (Did you catch that? Still), God caused such panic in the Philistines that they were routed. So, Samuel placed a stone as a memorial for the help the Lord gave the Israelites in defeating the Philistines. The Philistine defeat was so extensive the Philistines didn’t invade Israel again (I Sam 7:13), towns were restored to Israel (7:14) and neighboring territory was also freed (7:14). Samuel raised the Ebenezer stone, because of the LORD’s help. 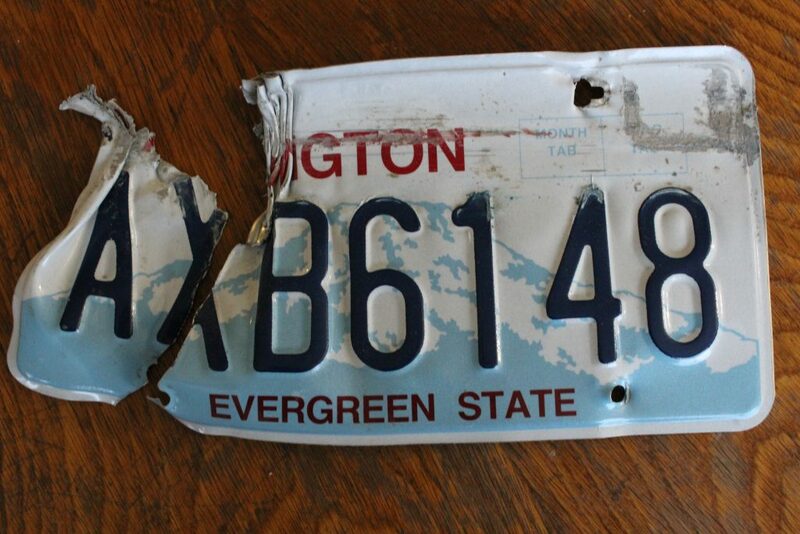 Are you wondering why I have a picture of a broken license plate. Well, let me tell you the story. Let me proclaim God’s protection. A little more than a year ago, our oldest two daughters drove to Wenatchee to watch a movie. On the way home, they hit black ice in Pine Canyon. For anyone not familiar with the canyon, the other side of the guard rail is a steep drop. They spun sideways in the road and hit the guard rail with the front of the suburban. 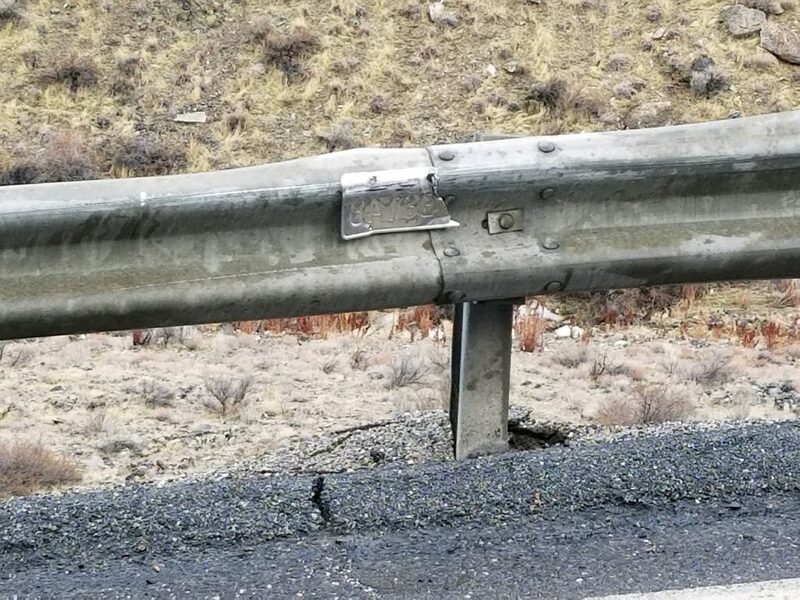 They hit with enough force that most of the licence plate was left stuck to the guard rail. The force also pushed the guard rail out several feet. All with minimal damage, just a minor bend to the bumper and license plate removal. Now, when you analyze the variables of how they hit. Everything says they should have gone through that rail. The girls both say they knew they were headed through the guard rail. The state trooper responding to the call couldn’t believe they hadn’t gone through and couldn’t explain why. We know the answer – God. He stopped them. My husband found the plate the next morning, when he went to look at the spot. So, this license plate has become an Ebenezer in our family.